Taraji P. Henson attends Refinery29s 29Rooms: Turn it Into Art, on July 25, 2018 in Chicago, Illinois. Taraji P. Henson coordinated her dress with a pair of tricolor bow pumps, also by Gucci. 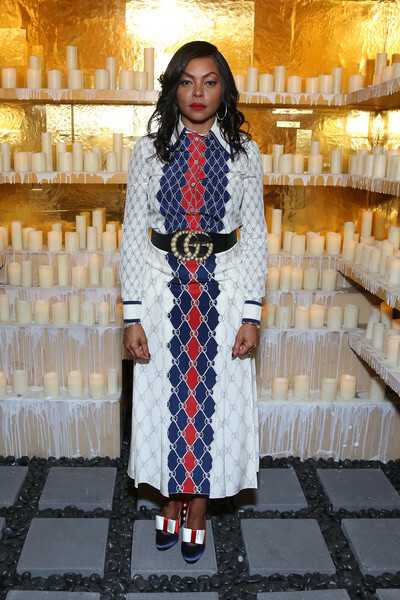 Taraji P. Henson donned a Gucci logo shirtdress for the 29Rooms: Turn It Into Art opening party.